I met a former colleague at the mall for lunch and we got chatting. During our chat I asked about her kids. I asked if Seyi could still recite Psalm 23 as she used to in her school and if Bible Knowledge was still her best subject. My friend told me she had withdrawn her child and put her in another school. The new school was popular and very liberal. I smiled when she hinted that she had to change schools to keep up social appearances. All her friends were taking their kids to the new school. The school was ‘Hip’ and very much in ‘vogue’. I stylishly asked if the school was a Christian school and she was baffled at my question. She even went further to tell me that she didn’t think that Christianity should actually be a factor when considering the choice of a school for her children. Now, that was the shocker. How can a Christian say that? In this perverse day and age? A Christian education will help a child to grow with God and to understand, appreciate, and praise Him. It teaches the child how to know what his function is as God’s loved creation and his obligations as a child of God in this world. The student is taught to glorify God and to develop and use his gifts from God, his intellect, talents, and skills, as instruments to help shape a world that is pleasing to God. As parents, the decision on how to educate our children is major. Guidance is often needed and the decision can only be made if we are educated ourselves in the reasons for selecting a Christian education. ONE: You are accountable to God for what your children are taught in school. Proverbs 22:6 is a direct command to parents. It says, “Train up a child in the way he should go…” What your children are taught in school should be a direct extension of your parental views. TWO: Good Christian schools offer a better level of instruction. There is no question about it. The test scores over a long period of years are conclusive. THREE: The Bible does not teach that children should be exposed to all kinds of sin. We are to train “up” a child, not point him downward. Children do not grow spiritually stronger in a negative non-Christian environment. FOUR: The Christian school is right for your child because the Christian school has not cut itself off from the most important book in the world–the Bible. Without the Bible, education is nothing more than the blind leading the blind. Standards for morality must be taken from Scripture alone, not from situations as often taught in secular schools. Remember: To train a man in mind and not in morals is to train a menace to society. FIVE: The Christian school provides an opportunity for your child to witness for Christ. This surprises some people because they assume all students in a Christian school are Christians. In most cases a majority are Christians; however, in every Christian school there are always some students who need the Savior. Christian students are trained and encouraged to reach these youngsters for Jesus Christ. Witnessing in a Christian school has the support of parents, students, teachers, administration and the school board. SIX: Christian school educators teach all subject matter from a Christian context. They put the Bible at the center of the curriculum and ask students to evaluate all they see in the world through the eyes of God. Your child will learn to view life from God’s perspective. For example, from man’s viewpoint, history may be purposeless; from God’s viewpoint, history has meaning. From man’s viewpoint, science is the laws of “nature” at work; from God’s viewpoint, science is the outworking of His laws. 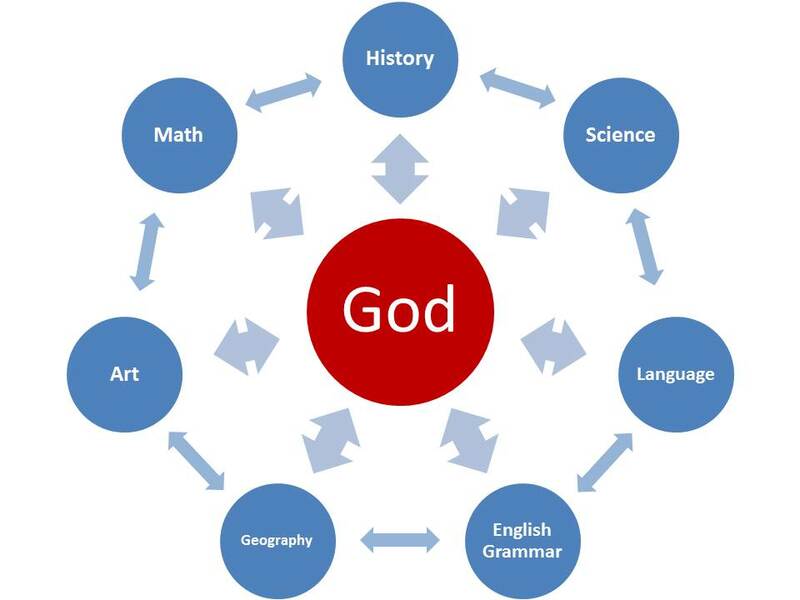 Yes, in a Christian school, a student is exposed to the centrality of God in all of life. NINE: Christian school educators maintain discipline in the classroom and on the playground. Without a reasonable standard of discipline, the process of education is severely hampered. “For whom the Lord loves, He disciplines…” the Bible teaches. And it is within that context of love that discipline is carried out in a Christian school. This important feature of education is rapidly disappearing from schools. Discipline has, in fact, been named the number one problem of schools in seven of the last eight years. TEN: I believe that our children are gifts of the Lord. We are responsible to train them according to His Word not only at home and in church, but in school as well. More and more parents, especially Christian parents, are coming to the conclusion that secular education and most of its teachers and principals no longer represent their personal parental views. These parents are exercising their freedom of choice and sending their children to Christian schools and colleges. I am glad I work in one. The school places serious emphasis on Christianity, Character and Learning. You can contact me for details.